Inlet mains water pipe intersects a circular tube containing a ring of magnets imbedded in spaced connected holders separated by cavity gaps which rotate when water pressure is released by opening taps along the circuits. 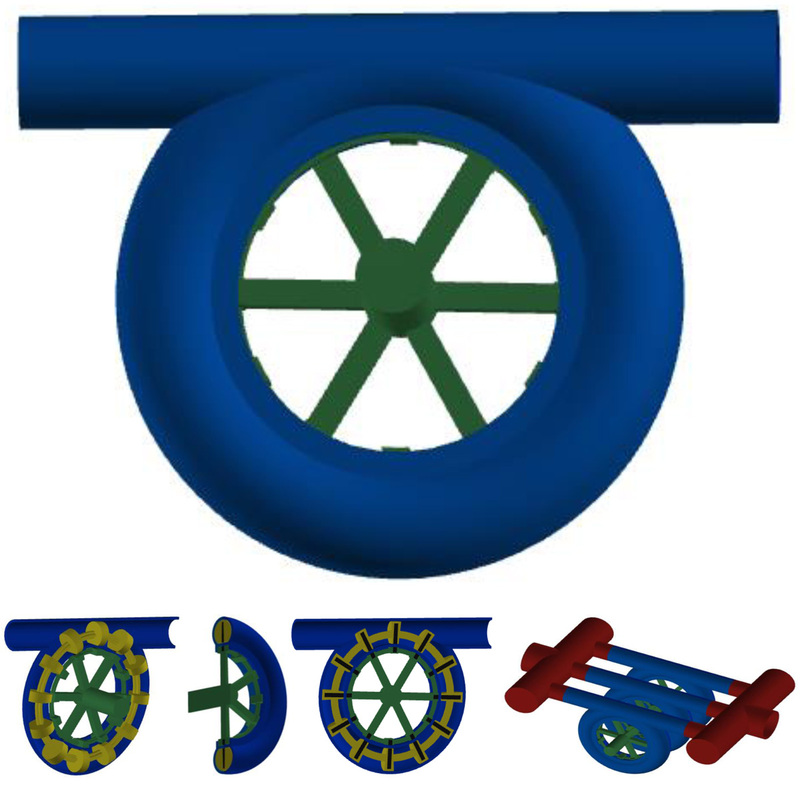 An inner wheel with complementary magnets and cavity gaps follows the rotation of the water ring and drives an axially mounted generator producing electricity to charge a battery and augment the electricity supply reducing the amount required to be drawn. Manifolds connect multiple units.